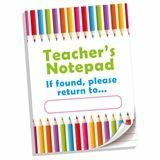 'What do you say to comfort a teacher when they are upset? Their they're there' ceramic mug. 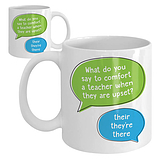 This mug makes a great present for the teacher in your life, especially one who loves good grammar. 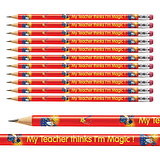 Whether it's a seasonal gift, a birthday present or just a little something to show you care, this mug is perfect to buy for your teacher, colleague, or friend.